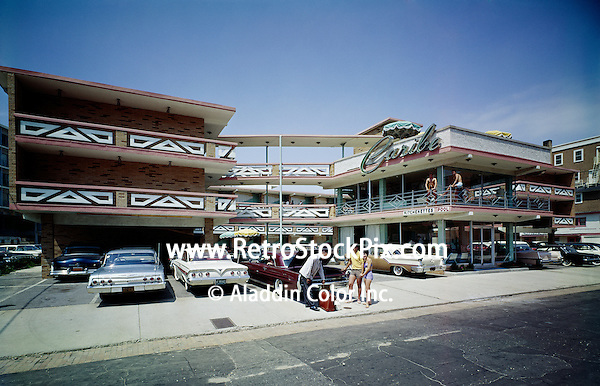 Caribe Motel,Atlantic City NJ. Exterior with neon sign and a porter helping a couple with their bags. 1960.